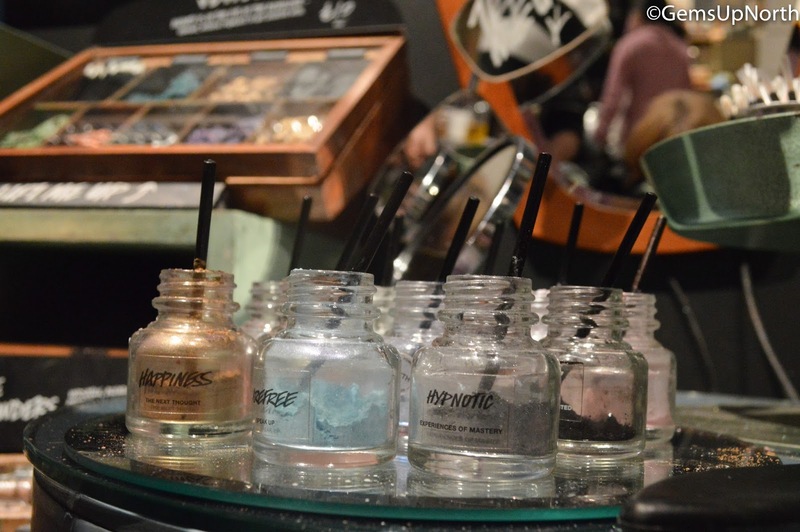 Ever wondered what goes on at a LUSH Blogger event? Yeah, me too and now I can tell you. 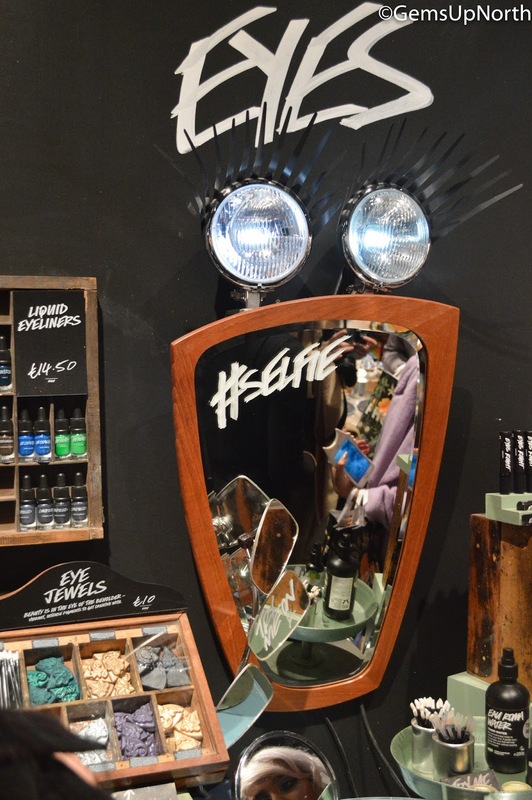 On Tuesday I was invited to the LUSH store in the Arndale Centre, Manchester for a Bloggers Beauty School evening; I was super excited to go and get stuck into the activities they had planned for the night and meet some lovely bloggers whilst I was there. The evening started at 5pm and there was quite a few bloggers in attendance, we was all given a beauty school invite with a number 1, 2 or 3 on it; this was the group you would be in for the night. I was in group one with 6 other bloggers and our first stop was the green house. In the green house the staff member, Alex, told us that the Arndale store the only LUSH store with a green house, how cool is that? He was excellent at answering all of our questions and gave us so much information on how the products are made in the LUSH factory in Poole. All of the products are handmade and you can see who's made the product from the sticker on the tubs. After all this interesting information we actually made some products ourselves. First up was 'The Comforter' which is actually a favourite bubble bar of mine because of the sweet scent of blackcurrant from the Cassis ingredient; the bar also has calming properties with having Cypress Oil in it too. 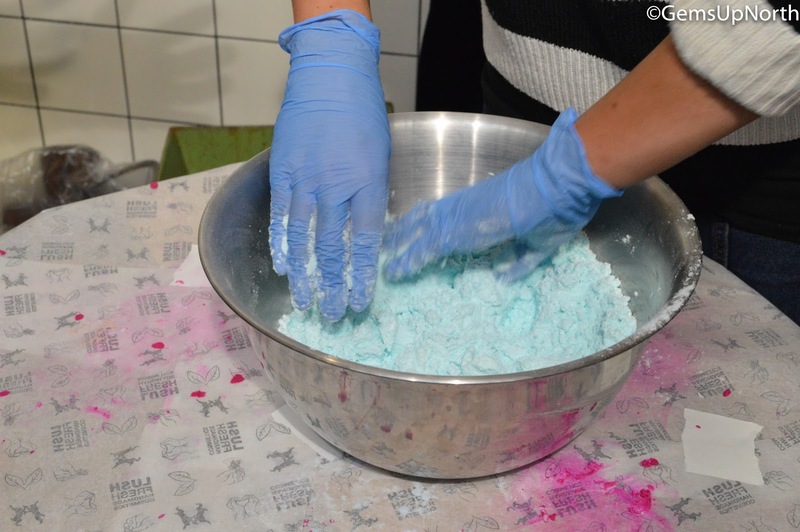 To create the bubble bar we had to grab a handful of pink and a handful of white and twist them together to make the swirl design, we all know and love on the Comforter however this is a super skill and none of us managed a perfect swirl or even any swirls. I tried to roll my compounds then twist them together as if I was working with icing when baking, this still was unsuccessful but we all went home with our very own Comforter that we had made. With or without swirls the bubble bar will be beautiful in the bath and create lots and lots of bubbles. The second product we made was the Ickle Baby Bot bath bomb which is a product I've never used mainly because of the lavender scent although lavender has a calming and refreshing effect I tend to have a sneezing effect as well. When making the bath bombs the scent wasn't over powering and I was actually sneeze free so I might give this little bath bomb a go. This bath bomb is a gentle product which is great to relax children at bath time, it's safe to use with children over 6 months old according to the LUSH website. I was interested to hear from Alex that lavender is used to treat skin irritations because it has healing properties so this was new information to me which I'm glad I now know. 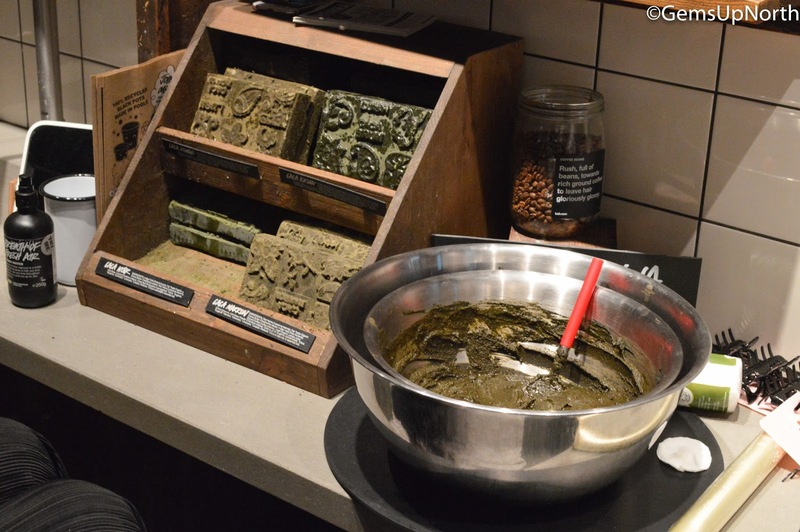 Little bits of information like this show that the LUSH staff are really passionate about the products and learn what the ingredients are used for. My group moved onto the hair section of the evening with some more lovely staff members telling us all about LUSH hair styling products and Henna treatments. I'm already a keen user of LUSH shampoo bars and I have used a couple of their conditioners in the past too. I particularly like how long my shampoo bars last, they are such good value lasting me around 2-3 months! Whilst one of the team was preparing the Henna to demonstrate how to apply it to the hair we was introduced to some LUSH styling products. 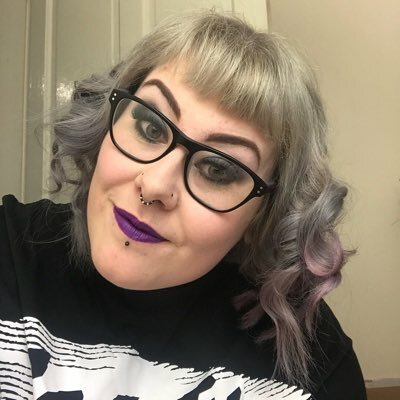 I was interested in seeing what the products can do for the hair and was glad that each product was passed around the group for us to try if we wanted too. Sea Spray seemed like a favourite of the group, this gives the hair shine and that beach look we all dream of in the summer. I currently have quite dry hair from a previous bleaching job so when I was shown R&B, a hair moisturiser with a rich blend of oils to help restore hair to its natural state I was sold and it smelt amazing. Another product that caught my eye was Mr Dandy's Hair Candy, with fresh banana that holds the hair but still leaving a lightweight look and it has Almond oil in it which hydrates the hair. This hair candy can be used on wet or dry hair and the uses are endless, add texture by using on wet hair and blow drying or apply to finished looks to tidy loose hairs, I took a sample of this home with me to try out myself too. The Henna treatment was now ready, to get the henna ready you can use 2 bowls as a bain-marie or a heat-proof bowl in a saucepan. With hot water in the bigger bowl, place the blocks of henna (2 blocks for longish hair) in the smaller bowl on top of the water and cover the blocks in hot water, after a few minutes stir the henna into a thick hot chocolate consistency; you can always add more hot water if needed. LUSH have helpful guides in store for you to take home and read through too. LUSH Henna (Les Cacas) is made from quality Persian henna and is known for giving the best red tones although LUSH offer a few shades; Caca Rouge (really red), Caca Marron (red with indigo and ground coffee darker notes), Caca Brun (indigo) and Caca Noir (dark indian indigo). Henna usually has a strong dried leaf smell but LUSH have added essential oils so your hair is left with a pleasant scent after using. All of these Henna hair colours are safe, Vegan and 100% natural which is of course what you'd expect from LUSH but you also know these won't damage your hair either. We watched as the prepared henna was applied to the models dry hair in sections making sure to cover each bit of hair. Working from the back first and from roots to the ends. The procedure looked really easy but I doubt I could apply this on my own like I would normally do with hair dye, I would have to get a friend to help me out to make sure I applied the henna evenly. 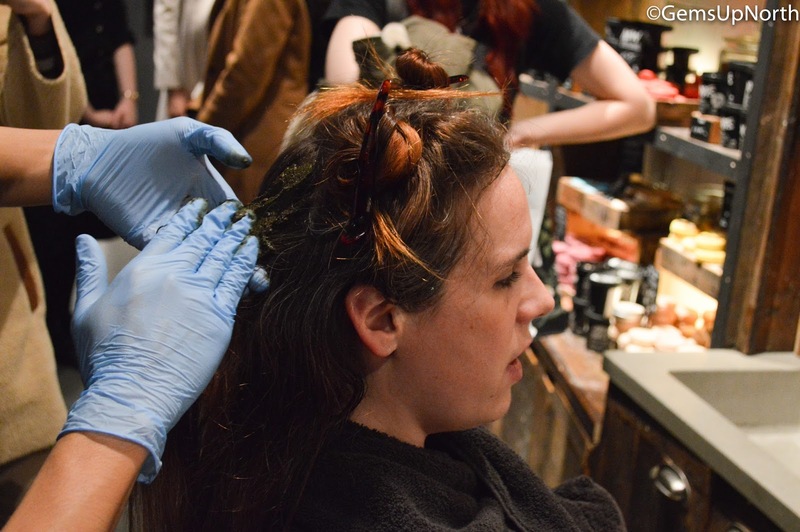 Once the hair is covered with henna, cling film is wrapped around the hair and left on for at least one hour and then shampooed out, easy peezy. Another staff member showed us how to wear a LUSH Knot-Wrap as a hair accessory by creating a rose shape in the scarf, we was all able to have a go of this because there was a Christmas themed knot-wrap in our goodie bags which is made from 2 recycled plastic bottles. I found this tutorial quite easy and I will be wearing my knot-wrap over Christmas and throughout the year, I may have to purchase another wrap. We was also shown how to wrap gifts/products in the knot-wrap which again was quite easy but may take some practise, I like the idea of giving a gift wrapped like this because it's like an extra gift and they can reuse it and pass it on. This is all part of LUSH's Naked packaging quality and helps stop paper being used and wasted. 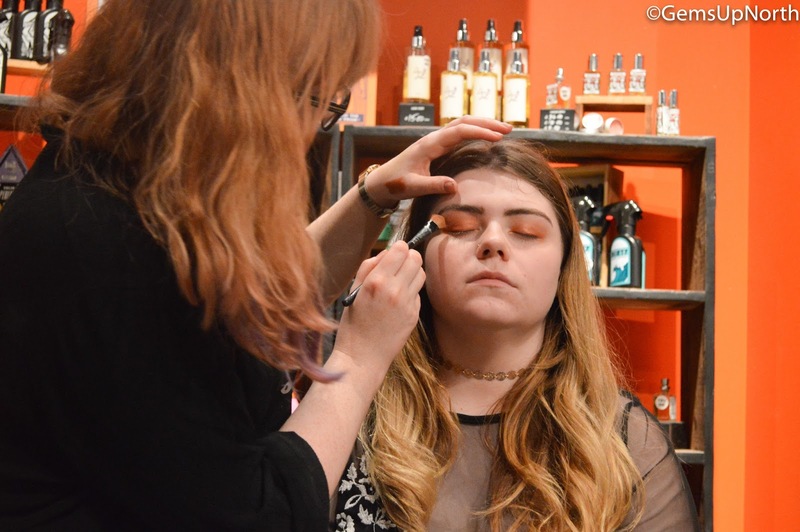 The final section of the evening for group one was my favourite parts being all about LUSH makeup which is only available in the Manchester Arndale store, Oxford Street London and Japan so its like an exclusive part of the store. I'm so happy the Arndale store is lucky enough to stock the range because it's all fantastic. The makeup tutorial started with 3 members of staff each applying different products to a model, first up was eyes. 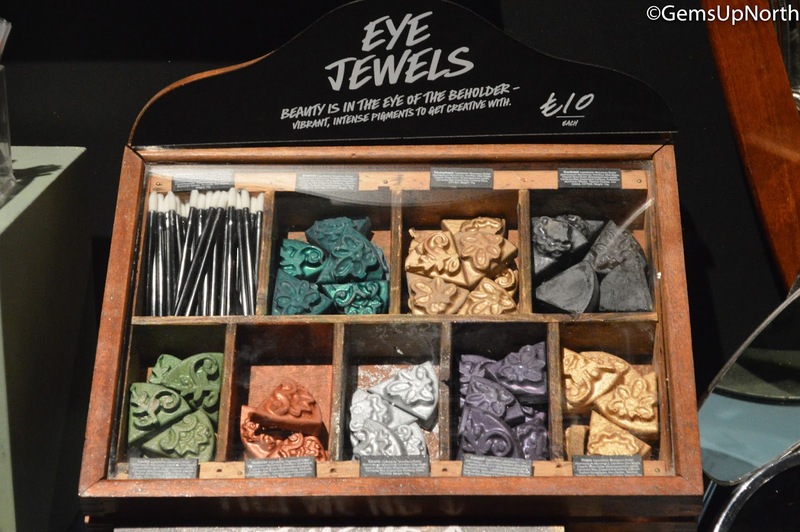 The amazing eye jewels which are 30% pigment and are so colourful, I was so impressed with how bright in colour they are; there are 12 shades available priced at £10.00 each. The eye jewel can be applied straight to your eyes or used with a brush, the staff member went straight in with the jewel then blended with a brush leaving a metallic look on the models eyes. An eyeliner was applied next which also had a metallic look to it, again this was highly pigmented and looked pretty easy to apply. The eyes was finished with an inner eye highlight and LUSH mascara. Base makeup was applied next by another staff member, each was really talkative and told us about each product they was using and passed them around for us to see. LUSH have there own foundation in lots of different shades, I swatched the one that was passed around on my hand and although it wasn't my correct shade it was so blendable and a little bit went a long way. A highlighter was used next to add radiance to the models cheek bones, down her nose and on her brow bone, this product came in the same sized pot as the foundation and was very white in colour, when swatched it left a magical shade of iridescent glow on my hand. Of course a little blush was added and then onto the models lips went a gorgeous orange/red shade which really made the models face pop, she looked amazing! The tutorial ended and we had some time to check out all of the makeup products available and have a play with each product. I already have a wish list of makeup items I want which I will probably pick up with some Christmas money. Everyone was also really pleased with the foodie treats, the trainee manger Colin had made vegetarian biscuits in the shape of the eye jewel makeup and these tasted so good, there was one in our goodie bags too was that went quickly once I got home. Colin had also made Vegan cupcakes themed like the cupcake face mask and I have to say I fully enjoyed this chocolaty cupcake, thanks Colin! 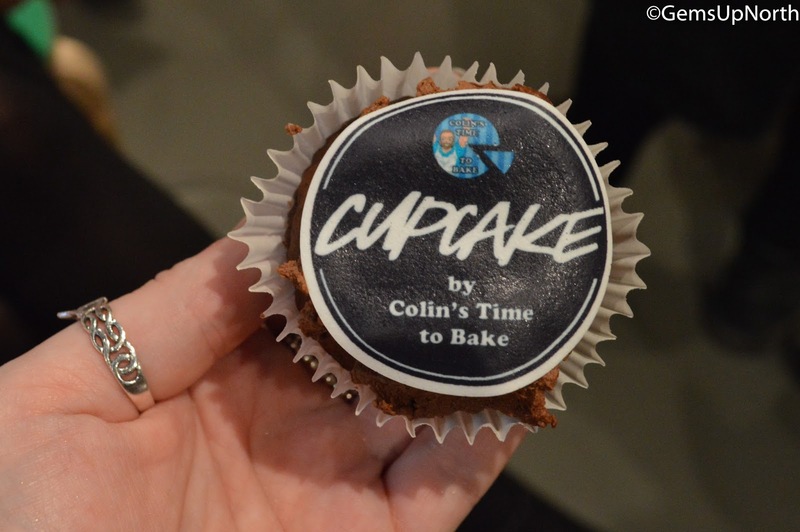 You can check out Colin's website and youtube here. Since each group had made different products there was some left over items at the end of the night so these was given out to us as well, I got the Angels on Bare Skin fresh cleanser because I haven't tried this so wanted to give something new a go. 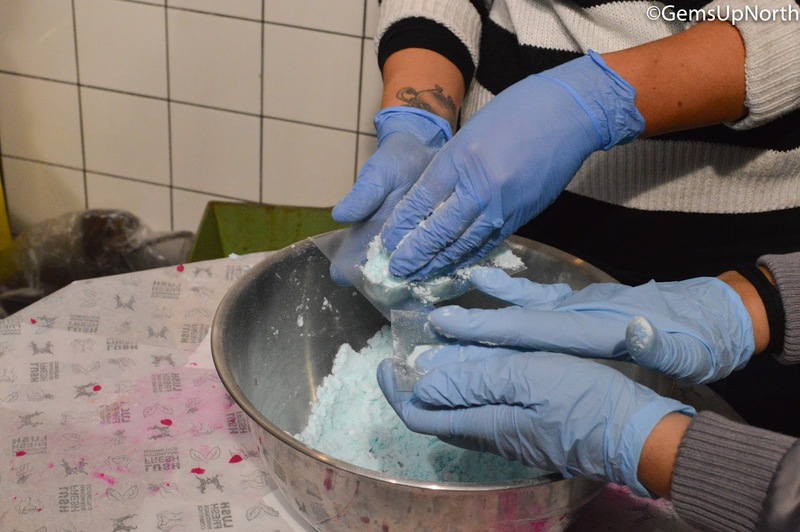 A staff member was also using the last of the Butterbear mixture up, making them into bath bombs so I got to make another bath bomb and take that home too. I'd like to say a massive Thank You to the LUSH Arndale team for inviting me down for the evening, it was an excellent evening filled with lots of activities, information, fun and treats. All the LUSH staff were really nice and you can see and feel the passion they have for LUSH and their jobs, it's made me want to join the team; I'll be applying for a job next time they are taking on for sure, I want to join the LUSH family. As far as blogger events go with how well planned out the evening was, it was one of the best events I've been too. I hope there will be more in the future. 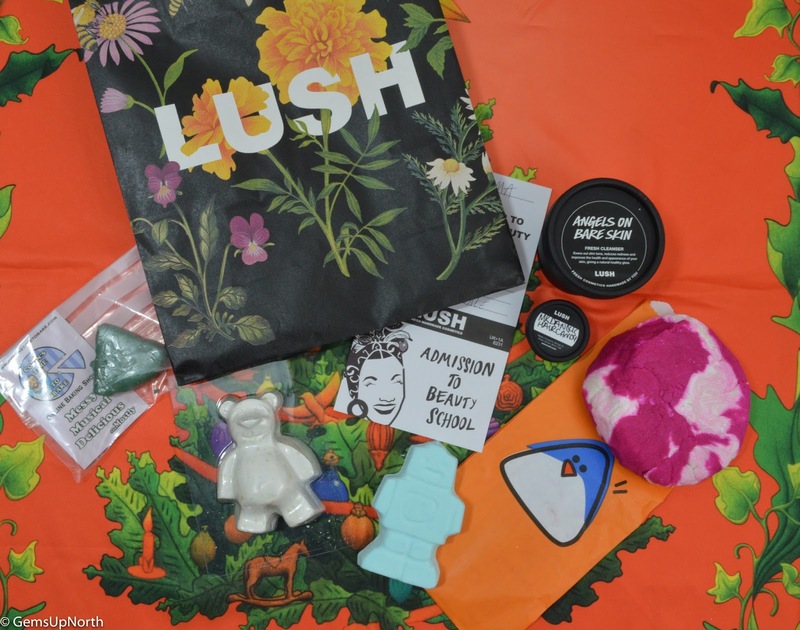 Here's a photo of the treats I came home with including, a Christmas knot-wrap, Eye Jewel biscuit, Ickle Baby bot and Butterbear bath bombs and the Comforter bubble bar all made by me, a tub of Angels on Bare Skin fresh cleanser made by another blogger and a sample of Mr Dandy's Hair Candy all in a new LUSH floral designed bag which is beautiful! Thank you again team LUSH! 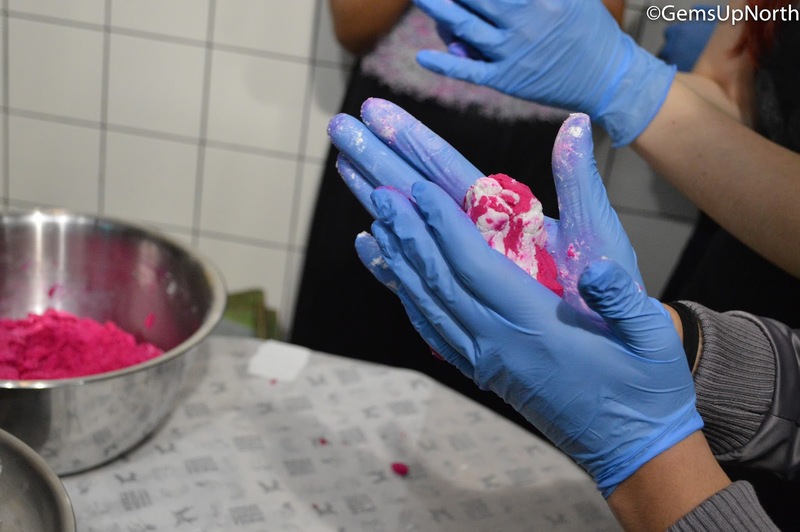 LUSH run these beauty school events as parties too, so if you have a birthday or hen party or anything to celebrate or you and your friends just want to learn more about LUSH and have some fun then get in touch with the team at the LUSH Arndale store for details.